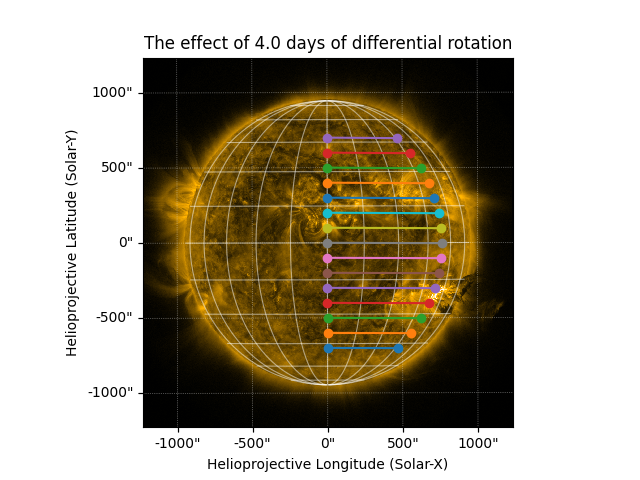 The Sun is known to rotate differentially, meaning that the rotation rate near the poles (rotation period of approximately 35 days) is not the same as the rotation rate near the equator (rotation period of approximately 25 days). This is possible because the Sun is not a solid body. Though it is still poorly understood, it is fairly well measured and must be taken into account when comparing observations of features on the Sun over time. A good review can be found in Beck 1999 Solar Physics 191, 47–70. 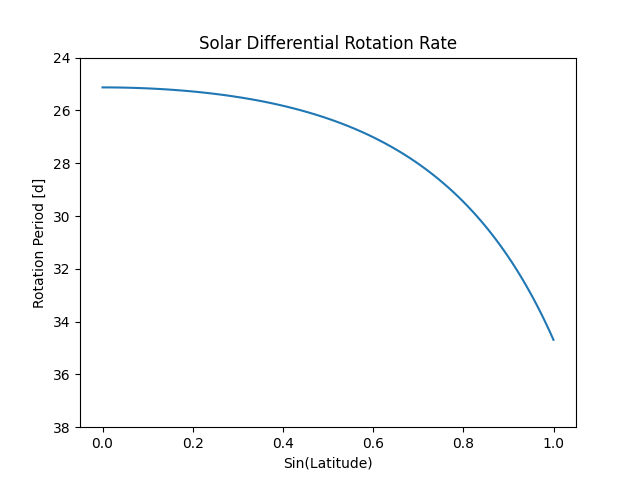 This example illustrates solar differential rotation. Now let’s plot the original and rotated positions on the AIA map.